From the ashes, it was reborn. More uniform than before, more beautiful than ever. It would stand the test of time and be a wonder of the region. Such is the story of Telč and how being burnt to the ground was the best thing that ever happened to it. 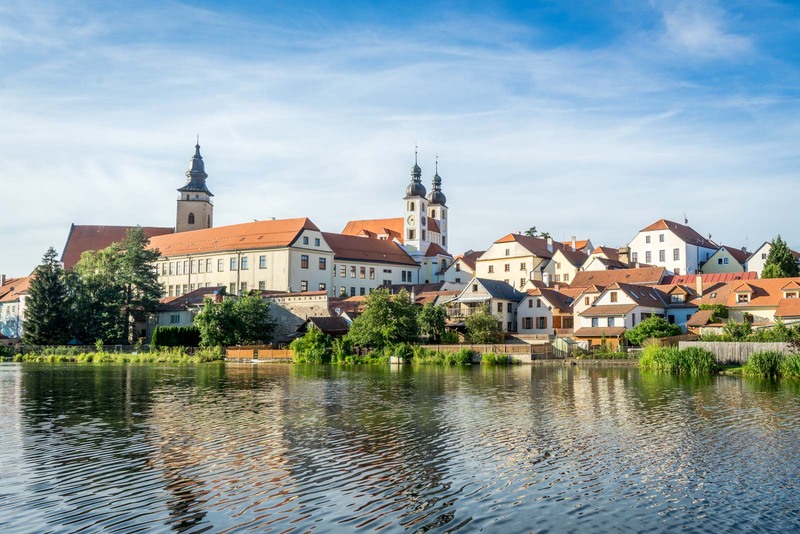 The town of Telč in the Czech Republic was nothing special until the sixteenth century when the houses, all made of wood, burnt down in a great fire in 1530. The castle, then a simple L-shaped structure, was also damaged. What’s important to know about this timing was that just 17 years later, a man called Zacharias of Hradec took over as the ruler of Telč at the age of 23, when his father died suddenly. He saw a lot of potential in the town but also saw an opportunity because of the relatively blank canvas all the fire damage had left him. 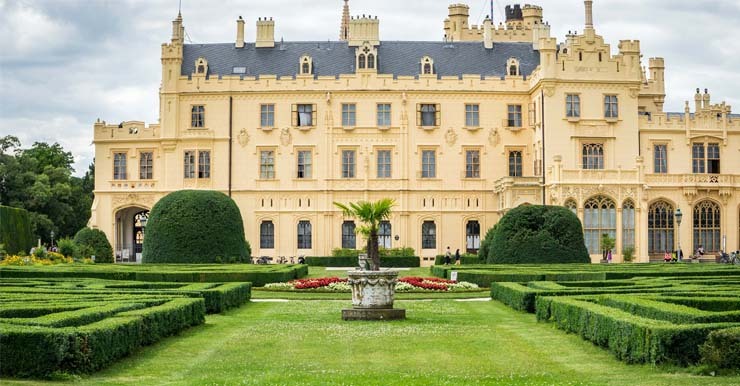 He reconstructed the castle in a grand Renaissance style that he deemed good enough for him to move into. The houses along the square were also given beautiful and consistent facades, with arcades and gables, all also in the Renaissance style. Zacharias helped Telč prosper and the standard of living improved. He created lakes for fishing, new areas for farming, updated the hospital and chose experts to administer all the town’s affairs. By the time he died in 1589, the community was comfortable enough economically that they were able to focus on maintaining and improving the architectural and artistic legacy that he had left for them… and that we can still appreciate today. I arrive in Telč on the bus, which drops me at the train station. It’s just a short walk into the centre of town, so I wander along, looking around me. From what I can see, Telč looks like any other small town in the country and I don’t see why it’s been recommended to me. It’s not for another ten minutes, when I pass along a narrow street and suddenly emerge in the town square that it all becomes clear. It’s here that I can see all of the buildings along the edge of the square, presented suddenly in technicolour and panorama. Each a different hue but with the continuous line of similar design. I think about the grand vision that Zacharias of Hradec must have had when he commissioned this. Except Telč today does not look like it did back then. The fundamental plan of the town has kept the layout and idea of consistency, but the specific aesthetics have changed. Most of the facades were updated to a Baroque appearance in later years. At the other end of the square from where I enter is the main castle. Although it’s had many changes in ownership over the years, it has actually changed very little. Most of the main rooms are still largely as they were in the 16th century when Zacharias brought in Italian artists to pass on their knowledge of the Italian Renaissance scene. I pass through the gate on the other side of the castle and find myself on the edge of a river with parkland on the other side. It turns out it only takes a few minutes to walk from one side of the historic part of the town to the other. But the river and the parks around the edges are just as pretty and offer nice views back towards the collection of buildings. 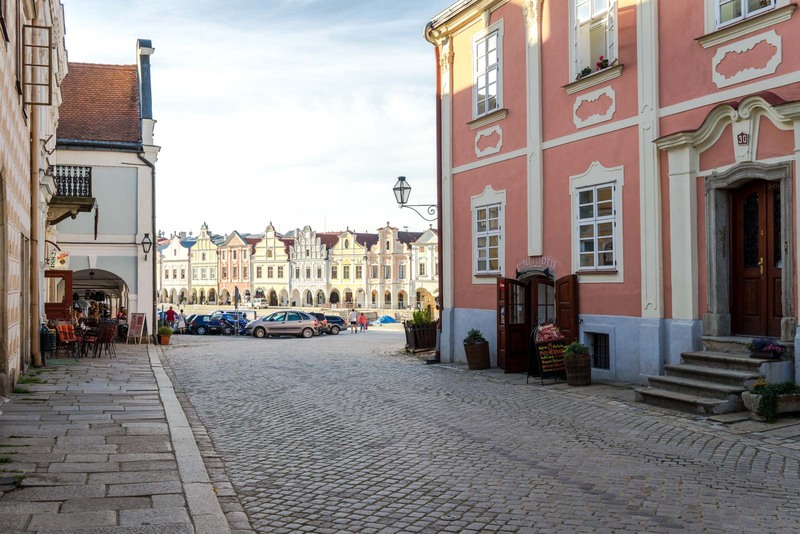 It doesn’t take long to explore Telč. I can understand why some people might come for just the day. However, I stay the night and I’m glad I do. There’s something special about the square when it gets quiet in the evening and the colours as the sun sets are glorious. There’s some great accommodation in the historic buildings, which I’ve outlined in the information section below. 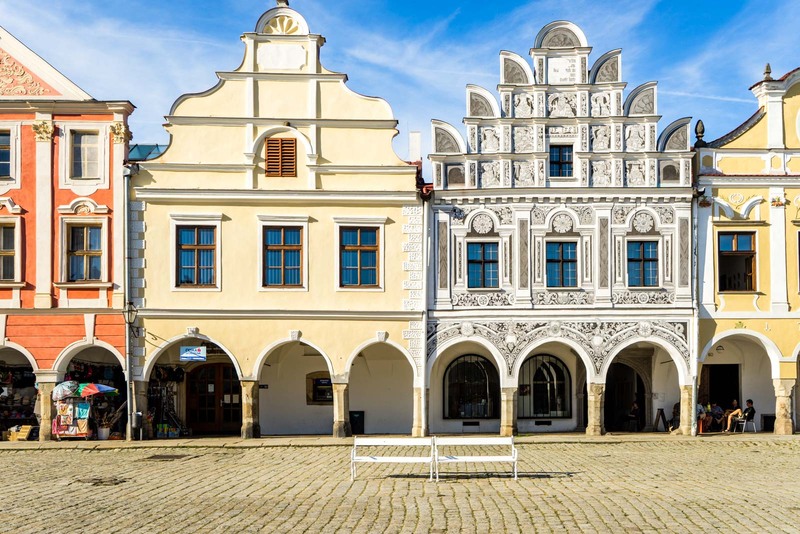 Have a look and maybe you’ll find something you like the look of – something that will make a night in Telč worth your time. How do you get to Telč? I would recommend getting one of the express buses to Telč. 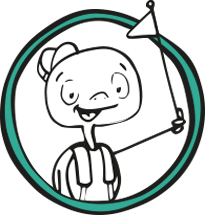 The best option is to book in advance through Student Agency (this site will be your best friend if you’re doing lots of travel in the Czech Republic!) There is a route between Brno and České Budějovice that stops at Telč (and connects to Prague at České Budějovice). The other option is to get the train but it will probably involve at least two changes. You can see the timetable here (another site worth bookmarking if you’re travelling a lot in the Czech Republic). Is there a tour to Telč? 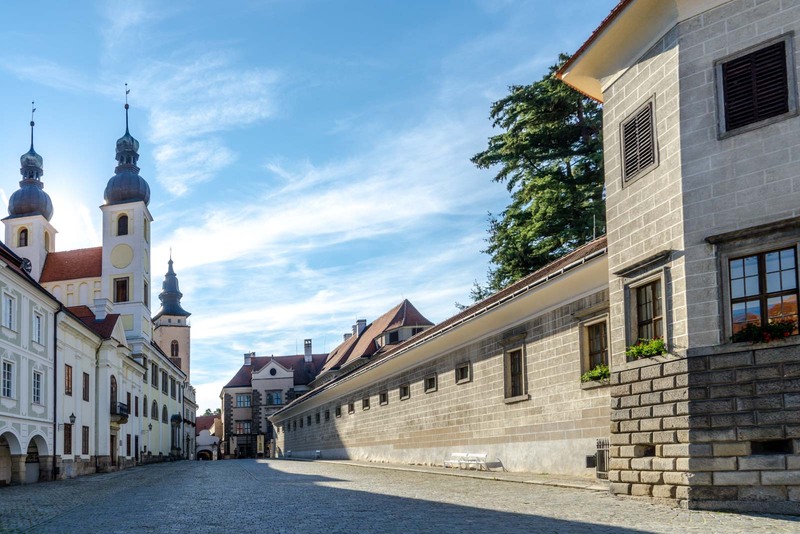 Can you visit the castle in Telč? Yes, you can visit the castle but it is closed in November, December, January, February and March. In April, it is open from 1000 – 1500 (10am – 3pm). In May and June it is open from 1000 – 1600 (10am – 4pm). In July and August it is open from 0900 – 1630 (9am – 4:30pm). In September it is open from 1000 – 1600 (10am – 4pm). In October it is open from 1000 – 1500 (10am – 3pm). IT IS ALWAYS CLOSED ON MONDAYS. The basic tour costs 140CZK (US$5.40) for adults and 100CZK (US$3.90) for concessions. 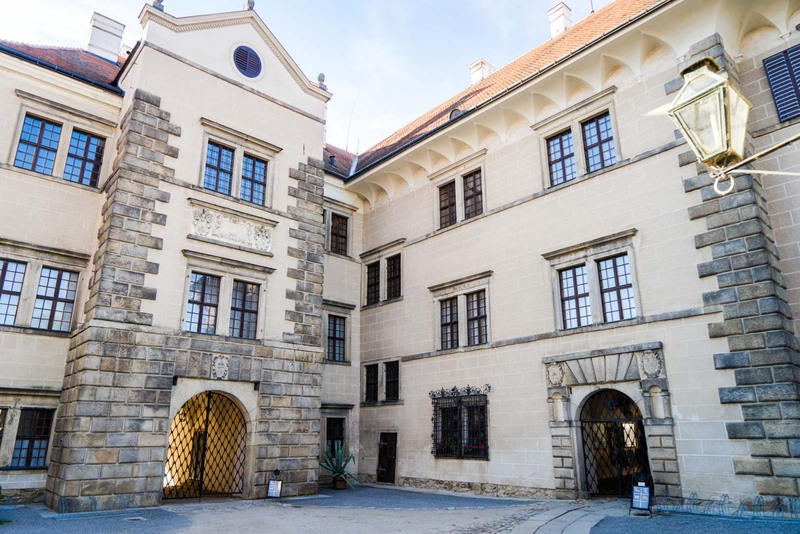 The tour through the living rooms costs 100CZK (US$3.90) for adults and 70CZK (US$2.70) for concessions. You can find more information at the official website (but only in Czech, it seems). 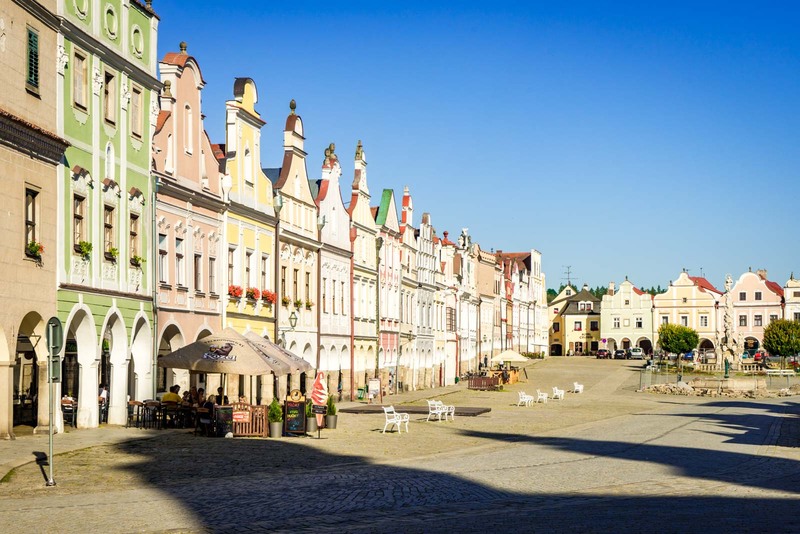 Where should you stay in Telč? There are a few really good accommodation options right on the historic square and it would be worth trying to stay in one of them. A cute little bed and breakfast with friendly owners and a good price is Kotrba Privat. For a rustic option with a lovely garden at the back is Penzion Telč No. 20. If you are looking for a bit more space, Penzion Slunečný Dům has rooms that feel like apartments. And for stunning modern apartments in a historic building, you have to check out Apartmany Chornitzeruv dum. WANT TO KNOW MORE ABOUT THE CZECH REPUBLIC? You may also want to consider taking a tour of the Czech Republic, rather than organising everything on your own. It’s also a nice way to have company if you are travelling solo. 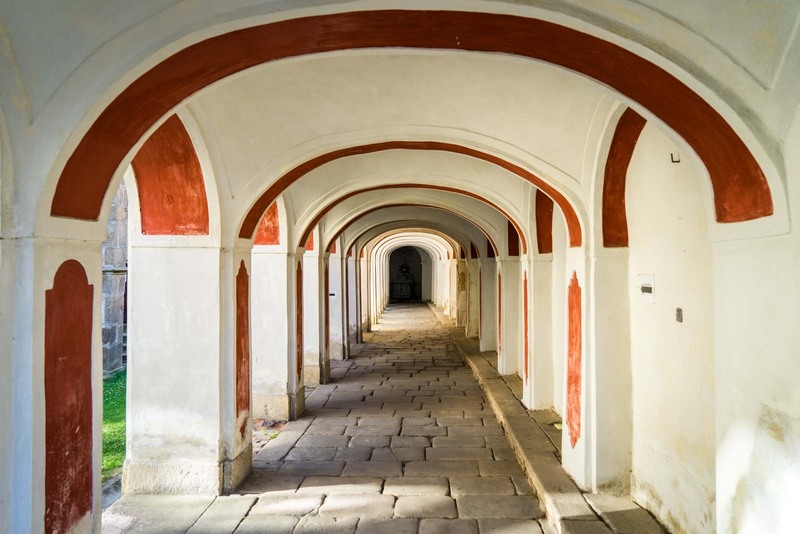 I am a ‘Wanderer’ with G Adventures and they have great tours of the Czech Republic. When I travel internationally, I always get insurance. It’s not worth the risk, in case there’s a medical emergency or another serious incident. 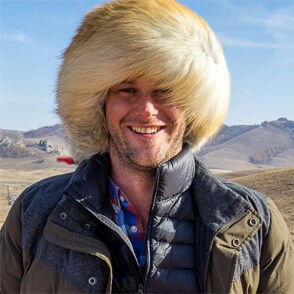 I recommend you should use World Nomads for your trip. Those houses are gorgeous. They look so old fashioned, but at the same time, really well maintained. I’m currently looking to a buy a property so my eyes are attuned to these things! Ha – maybe you could consider buying something in the Czech Republic? It’s a beautiful country with some amazing houses… and much more affordable than other parts of Europe at the moment!